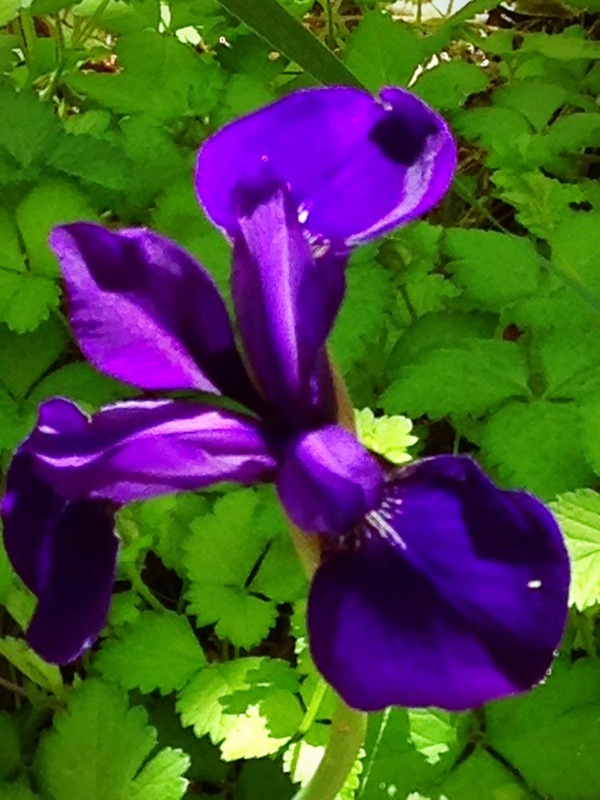 my uncle george’s siberian iris! wow, it was such a surprise to go outside in my garden and see this wonderful flower! every night, i’ve been covering the plant so the local deer can’t eat it for a midnight snack. well, it finally bloomed and i couldn’t be more happy. it is a part of the plant that my uncle george game to my mom, who gave me a start. i was just thinking how it wouldn’t survive our cold winter, but it some how did and actually produced a blossom. i found that i have another bud on the plant so i guess i’ll have to continue to cover it. our pesky deer just love munching on all out buds. i just transferred some hydrangea bushes to the back, thinking that now the deer won’t bother them. oh well, if anyone has a solution to how to get rid of the deer please share. have a great weekend. i hope to make some beignets that someone shared with me. thanks for visiting!